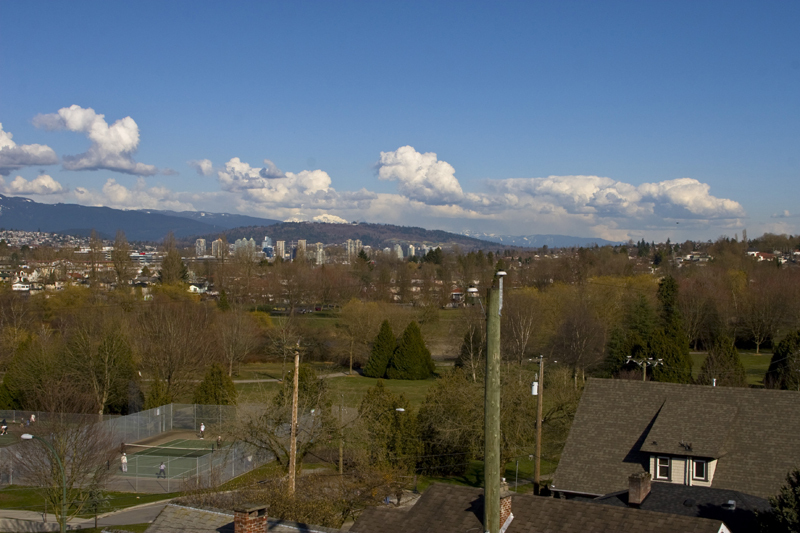 Here’s a little view shot from the roof top decks of the LATITUDE town homes, towards the north shore mountains and Trout Lake. 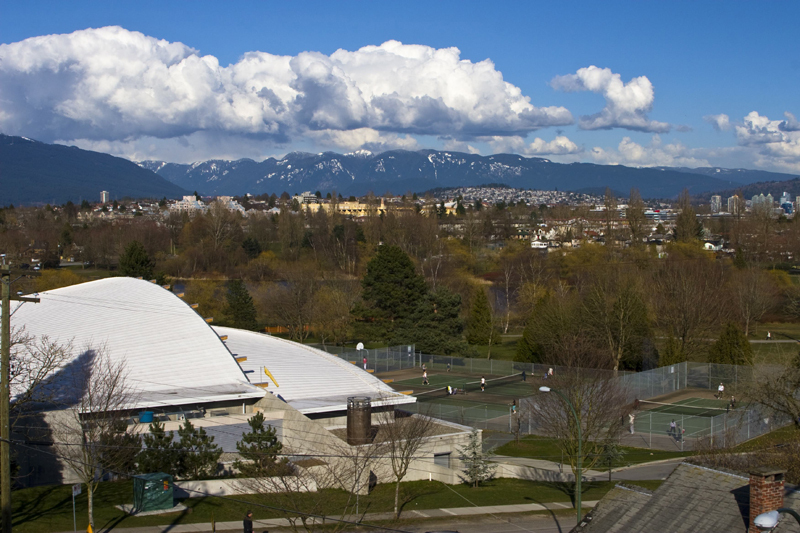 From these decks you can also see John Hendry Park which surrounds Trout Lake, the tennis courts and the new state of the art Trout Lake Community Centre and ice rink which was used for the Olympics. All great to look out and stare at any time you want a feeling of peacefulness. The LATITUDE town homes are now framed up and on-site tours are available by special appointments only. Occupancy is estimated to be sometime in August 2012. Call RICK SIMPSON of Sutton Group-West Coast Realty on his cell at 604-377-1362 to arrange for a tour. For LATITUDE floor plans and features visit www.ricksimpson.com. Click on projects for sale. GREEN DESIGN: Rough-in for individual solar panels. Low emission interior finishes. Outlets for electric cars. Private resident garden plots. Personal bike lockers. 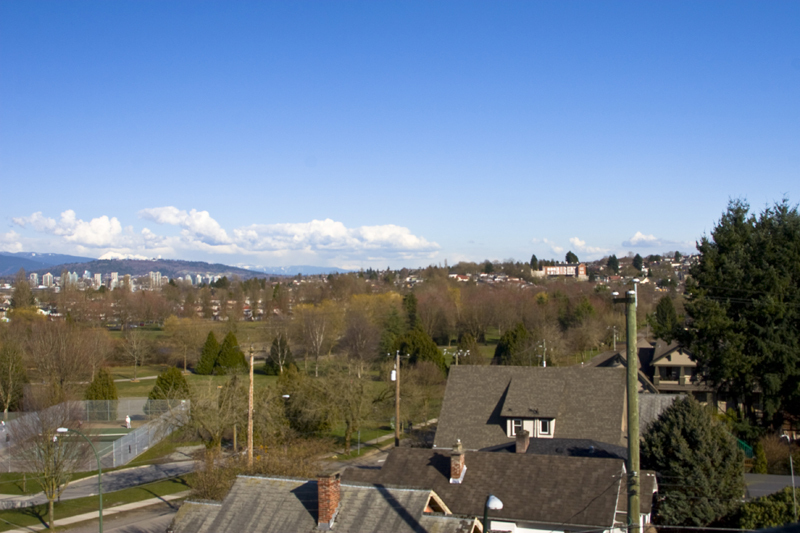 Walking distance to Skytrain, 99B-line and BC Parkway bike paths. 2 and 3 bedroom units. 1,134-1,479 square feet.